In this guide, I will explain the nine (9) types of compensation you could receive from a car or vehicle accident if you have been injured. If you are injured in a car accident that was caused by the negligence of another motorist, then you are entitled to certain damages. General damages, which are non-economic. What Are Special Damages or Economic Losses? These are tangible damages such as medical bills or lost wages which can be calculated at the fair market value at the time of the injury. What Are General Or Non-Economic Damages? These damages are more complex to calculate and are considered intangible such as pain and suffering or loss of consortium/loss of companionship. The amount of compensation you can receive for both types of damages depend largely on the nature and extent of your injuries and if you are able to provide sufficient proof of your losses. One of the more typical types of damages in personal injury cases is medical expenses. You are entitled to recover the “reasonable value of medical care and services reasonably required and attributable to the tort”1. One indicia of reasonableness in cost is that the bills have been paid. 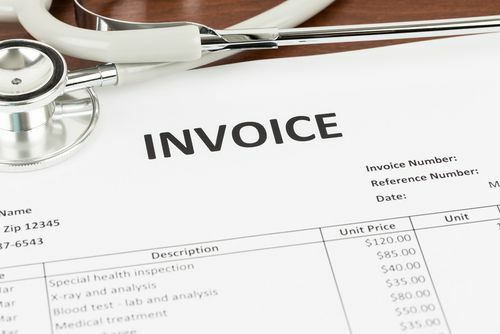 How Do You Find Out What Medical Bills Have Been Paid? Your personal injury lawyer may subpoena the health care provider or facility where treatment was rendered for certified records of the expenses so that these may be introduced at arbitration or trial and as proof of your expenses. Once received, the records should be reviewed by the health care provider who can testify that the treatment you received was related to your injuries and that the cost was reasonable. You may recover as economic damages no more than the reasonable value of the medical care you received2. Can You Recieve Compensation For Future Medical Expenses? Many serious injuries will entail future treatment and expenses. Injured plaintiffs are also entitled to recover the reasonable value of medical services reasonably certain to be necessarily incurred in the future3. How Is The Need For Future Medical Care Established? 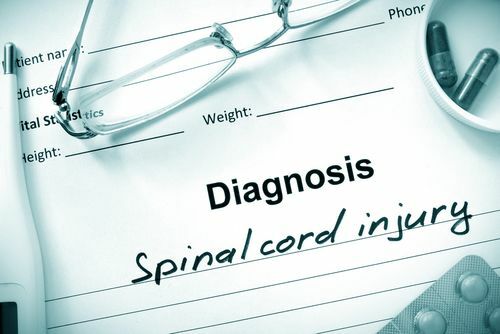 Medical testimony is generally elicited from a physician or medical expert that it is reasonably certain that you will be disabled in the future4. Even if the determination of the cost of such future treatment is difficult to estimate, it is not a bar to recovery5. 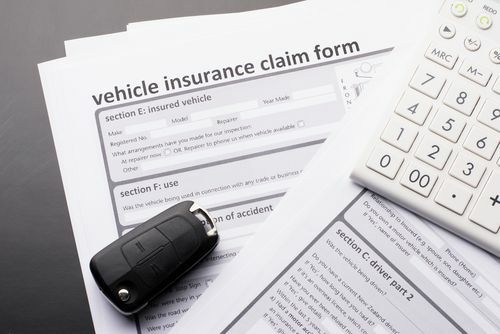 If you have medical insurance or med-pay as part of your auto insurance policy, then most of these bills will probably be covered but not necessarily in full for the amount charged by the provider. Is Evidence Of Paid Medical Bills Allowed At Trial? Evidence that insurance paid your medical expenses is generally not permitted at the trial under the “collateral source rule” since it can influence the amount of compensation you might be awarded and would penalize conscientious consumers who purchased health insurance. What is the Collateral Source Rule? The collateral source rule states that if you received compensation for your injuries from a source other than the tortfeasor, then that payment shall not be deducted from the damages you would otherwise be awarded from the responsible party6. 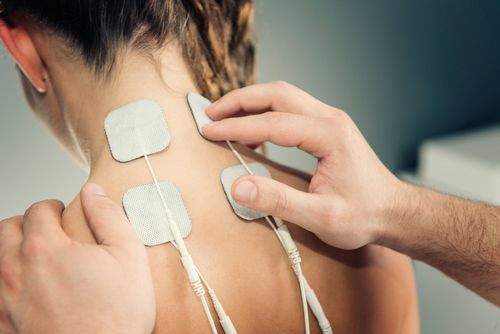 In many types of car accident injuries, the plaintiff or claimant will receive physical therapy. A therapist will have to document the treatments rendered and the claimant’s progress. It is helpful if a physician can support the therapist’s treatment with testimony that the treatment was reasonable and necessary. Can You Receive Physical Therapy Compensation In Slow Speed Car Accidents? In low-speed impacts, insurers and defense lawyers will cite the minimal impact of the collision and perhaps the relatively minor damage to the vehicles as a defense to a claim of serious injuries as well as to the extent and mode of the medical care received. If challenged, your personal injury lawyer can utilize experts who are both physicians and biomechanical engineers to show how low impact collisions can and do result in significant soft tissue and spinal injuries. Such experts have training in anatomy, physiology and injury mechanics, and tissue tolerance to injury. If an injured party was unable to work because of the injuries she sustained in a car accident, then she may claim her lost earnings as damages. What Proof Do You Have To Provide To Receive Lost Wages? You do have to provide proof that you were employed at the time of your injury and that you lost a certain amount of earnings, salary or wages because your injuries prevented you from performing your job. How Can My Attorney Provide This Proof To The Court? 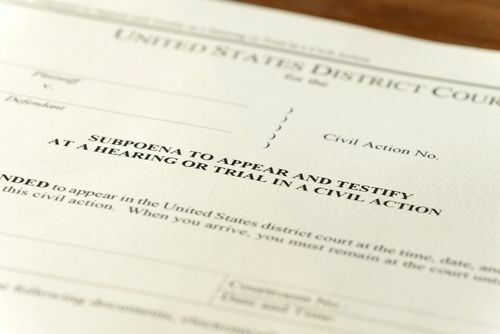 Your attorney can subpoena your personnel records from your employer that can show that you were employed on the day of the accident and that you were absent from work for a certain period. These records may also include medical forms or reports from medical providers attesting to your injuries and that you were unable to engage in your normal work duties. If there is a likelihood that future treatment will be necessary that will cause you to miss work and incur future lost earnings, then you will need testimony from your healthcare provider that you are reasonably certain to lose future earnings as a result of your injuries7. How Is Future Earnings Lose Calculated? The calculation of an award for future lost earnings is in terms of present value8. What Happens If You Are Permanently Disabled? If you are determined by your doctor to be permanently disabled and incapable of performing your job, then a forensic economist can calculate your lost earnings based on your earnings at the time you became incapacitated and your reasonably certain future earnings for the balance of your life expectancy and “undiminished by any shortening of that expectancy as a result of the injury”9. Do You Have To Try To Find Other Employment If Permanently Disabled? You are expected to mitigate your damages. If you are permanently disabled and no longer able to work at your job but are capable of other work, then you must make a good faith effort to find work that is within your physical or mental capabilities. You cannot be compensated for damages that you could have avoided by reasonable effort or expenditures10. If you find suitable employment but your earnings are less, then an economist can calculate your lost earnings over the course of your working and life expectancy. Earning capacity refers to your ability to make a living. To prove loss of earning capacity, you need not necessarily prove that you were earning any money at all at the time of your injury11. Loss of earning capacity is a separate category of damages from lost earnings12. It is also generally considered to be in the category of general damages since you do not need proof of actual earnings to claim loss of earning capacity. The test is not what you would have earned in the future but what you could have earned. These are damages designed to compensate you for the injury suffered and to restore you as nearly as possible to your former position or give you the pecuniary equivalent13. 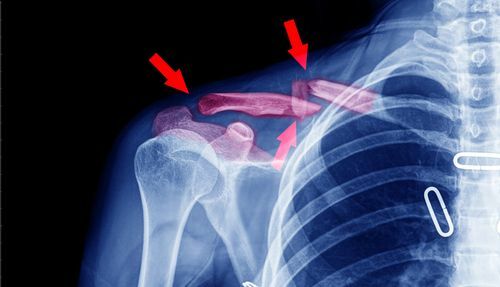 It is the nature of the injury that is the basis for proving lost earning capacity and does not require proof of actual earnings before or after the injury. It is your lost ability to earn for which you are compensated14. However, if future lost earnings are quantifiable, then it is special damages15. For example, a teenager who sustains serious injuries in a car accident has no earnings history. 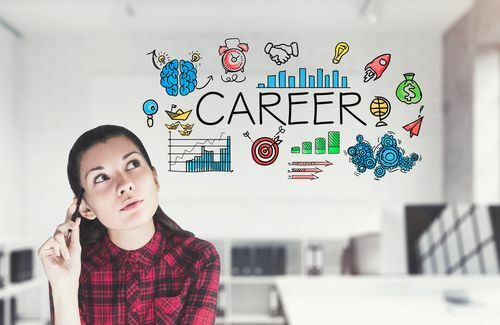 If the teen had previously expressed a desire to pursue a certain vocation but suffered physical or mental impairments, then she may claim and be awarded damages pertaining to her lost earning capacity to pursue such a vocation16. In these types of cases, your attorney will usually retain a vocational expert and economist to prove the probable economic loss. Pain and suffering is included as a type of general damages. There is no formula for determining how much compensation may be awarded in a particular case for past pain and suffering. A court will instruct a jury to find a reasonable amount based on the evidence and common sense17. For future pain and suffering, a plaintiff must prove that he or she is reasonably certain to suffer it. Pain and suffering comes in various forms. 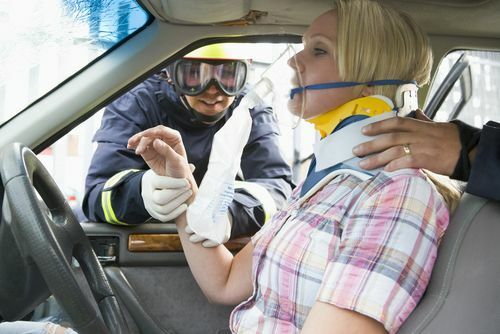 A car accident implies that you have property damage. If your car was not drivable, it was likely towed to your home or to an auto body shop. If it can be repaired, then you can either choose your own body shop or ask your insurer. Insurance companies have a list of companies with whom they do business, although you have the option of using whomever you wish. The body shop will contact your insurer regarding the estimate and negotiate a price to fix your car. If you do use your own carrier, then you have a deductible to pay. Your attorney can arrange for the at-fault party’s insurer to reimburse you or to pay it directly but most claimants will have the cost of the repairs covered by the at-fault party’s carrier provided they were insured and had sufficient coverage. If not, then you can use the uninsured provisions (UM) of your own policy to pay the repairs, and the underinsured provision (UIM) if the defendant’s limits are insufficient so long your UIM coverage exceeds that of the responsible party’s coverage. For example, you have $10,000 in underinsured property damage coverage and the responsible party only has $5000. If your property damage is $9,000, you can use the $5000 from the other party’s insurer and $4000 from your own. Insurers are only required to pay up to the value of your car. If the insurer declares your car a “total loss,” then it will pay you the fair market or blue book value and take your vehicle. Fair market is the value of your car at the time of the accident and not your purchase price. 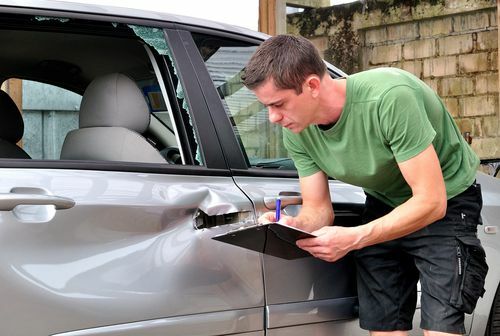 Most car repair claims are not disputed but if there is one, have your car accident attorney handle the negotiations. 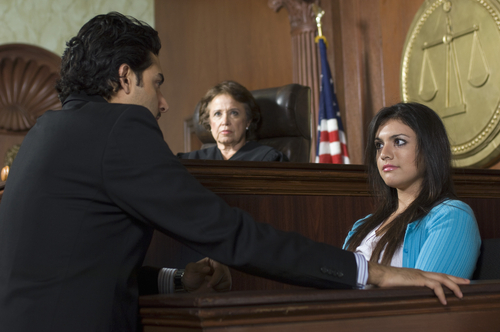 If not settled, the issue can be included in a lawsuit. Loss of consortium is another type of general or non-economic loss. It is also a separate claim as it is asserted by the spouse of the injured plaintiff. Consortium refers to the love, companionship, comfort, care, assistance, protection, affection, society and moral support provided by the injured spouse19. Proof of loss of consortium comes from the testimony of the parties as well as friends and family. If necessary, testimony from a physician and psychologist may be needed if the plaintiff is unable to be intimate or provide the companionship, affection, protection and care that the injured spouse had been providing because of the injuries or emotional trauma. Loss of consortium is also recoverable because of reduced life expectancy21. You can also recover for future loss of consortium that is reasonably certain to occur. This cause of action does not include expenses for any personal care or nursing services provided by the spousal claimant to the injured spouse, nor for any expenses paid to third parties for nursing or domestic services. A spouse also may not claim loss of earnings for having to give up employment to care for the injured spouse or for loss of financial support from the spouse. The injured spouse can recover damages for expenses paid for nursing or domestic care services. However, if the injured spouse was comparatively negligent in causing his or her own injuries, then the spouse’s claim for loss of consortium is reduced accordingly22. During discovery and at trial, you and your spouse will have to reveal private, intimate details about your marriage and sexual relationship. 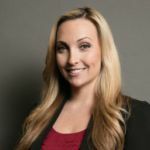 If the marriage is on shaky grounds and has been plagued by periods of separation, domestic violence, orders of protection, or discontinued divorce actions, then you and your spouse may wish to determine if this cause of action is worth bringing. When someone is killed by the negligence or intentional actions of another person to whom that person owes a duty of care, the immediate family members can bring a wrongful death action to compensate them for certain damages that they have sustained. California law also provides for a separate cause of action, called survival actions, where the personal administrator of the decedent’s estate sues on behalf of the estate. There are different damages that can alleged and recovered under these two causes of action. A wrongful death action can be brought by either the decedent’s appointed personal representative or by certain individuals23. These include the surviving spouse, children and other dependents of the decedent. All parties to the wrongful death action must be part of a single suit. Forensic economists generally are used to calculate economic loss. They do have to take into account the life expectancy of the decedent or what the decedent’s physical condition was like at the time of the incident that claimed the person’s life24. Similarly, a plaintiff with a short life expectancy because of age or illness can only collect for the financial support of his/her own life if shorter than the decedent’s would have been. These are based on actuarial tables compiled by insurance companies. Economists also are able to determine the value of gifts or benefits lost due to the decedent’s death, such as payment for college tuition or vacations. If the decedent stayed at home but performed such tasks as raising the children, cleaning, shopping, transporting the children, then these activities are compensable. A vocational expert can provide testimony and evidence of the lost hours of household services. Sources relied upon are time-diary data in the American Time-Use Survey (ATUS) and wage surveys provided by the U.S. Department of Labor, Bureau of Labor Statistics. Minor children are generally entitled to the value of lost support until he or she reaches adulthood or even longer if it can shown the plaintiff would have required additional support such as for pursuing advanced or higher education. Non-Economic losses do not include the extent of the grief or sorrow felt by the decedent’s family member who is bringing the claim. No damages may be awarded for pain and suffering or for punitive damages in a California wrongful death action. Juries are advised to award compensation for special and general damages and to not divide the award among the various plaintiffs. This can be accomplished by the trial judge. Another cause of action in a death case is a survival action that is brought by the decedent’s personal representative. If none was appointed, then the plaintiff may be the successor-in-interest or person entitled to inherit from the decedent’s person’s estate by will, trust or intestate succession. These actions can only be brought if the decedent survived for a time before succumbing to her injuries. Essentially, a survival action is one that the decedent would have brought if she had lived. Any pain and suffering experienced by the decedent before death is not compensable. Injured plaintiffs may be awarded punitive damages in serious accident cases but only if the defendant exhibited egregious or reckless conduct that amounted to a wanton or willful indifference to the safety of the decedent. Such damages are designed to punish the defendant and to deter similar conduct in the future. In deciding whether to award punitive damages, a jury must be convinced by clear and convincing evidence that the defendant acted with malice, oppression, or fraud25. This is a higher burden of proof than the usual civil standard used to award compensatory damages, which is proof by a preponderance of the evidence. Preponderance of the evidence refers to a standard where it is more likely than not that the plaintiff sustained a loss or proved a fact. A defendant’s wealth can be considered as well. In most cases, the more egregious or reprehensible the defendant’s conduct, the higher the punitive damages. However, a court will generally not allow a punitive damages award that is disproportionate to the award for compensatory damages. The US Supreme Court has commented that “few awards exceeding a single digit ratio between punitive and compensatory damages, to a significant degree, will satisfy due process”27. For instance, if a jury awarded $250,000 to an injured plaintiff and found that the defendant acted with malice and awarded $10,000,000 in punitive damages, the court would likely find that excessive and reduce it to an award that does not exceed a single digit ratio. Punitive damages are not awarded in wrongful death actions in California but can be in survival actions brought by the decedent’s personal administrator. Any award becomes part of the decedent’s estate. Further, punitive damages are not covered by insurance and must be collected directly from the defendant personally, which may be difficult to collect if the defendant is not a business or corporate entity or possesses individual wealth. However, judgments can be renewed every 10-years and punitive damages are not dischargeable in bankruptcy.